Simple to install, the DLA 1400 Series uses wizardbased set-up and centralized configuration and user management, reducing installation times by as much as 50%. All components are pre-installed and pre-configured. Simply connect to the network and power the unit up "" the 1400 Series is ready to begin recording straight out of the box. Powered by Bosch Video Recording Manager (VRM) software, the DLA 1400 Series provides support for up to 128* IP video devices per storage appliance. Available as either 1U (4-bay) or 2U (8-bay) rack mounts, the 1400 Series features hot-swappable drives and RAID-5 data protection to ensure maximum system uptime. 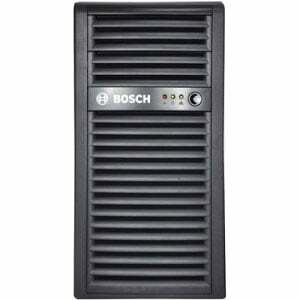 A low maintenance embedded design that combines NVR server capability with intelligent video storage, the 1400 Series reduces possible points of failure "" as well as boasting Bosch quality through-and-through. The Bosch DLA-UDTK-100A is also known as BOS-DLAUDTK100A	or DLAUDTK100A	.